In 2018, Massachusetts was the fastest-growing state in the Northeast, with its population growing by over 5%. As its population grows, so does the stateâs economy. Once known for agriculture, trade, and fishing, this state has grown to become a global leader in finance, biotechnology, and other modern industries. Massachusetts has even been named by as the most innovative state by Bloomberg. With a strong economy and new opportunities always on the horizon, thereâs no better time than now to launch or expand your own small business. Whether youâre the owner of an established business or youâve only flirted with the idea of entrepreneurship, the state of Massachusetts has small business financing and resources available to you. If youâre ready to launch your business or take your existing business to the next level, keep reading! Instead of poring through hundreds of small business lenders and resources, weâve handpicked the best options for you. Whether youâre seeking low-interest loans, fast financing, or free business tools, this guide has you covered. Read on to find out more about the small business resources available to Bay Staters. Running your own business keeps your schedule full. When you need extra capital for your business, it seems like there arenât enough hours in the day to head to your local lender. Fortunately, there is a solution that allows you to get the financing you need without spending hours at the bank. That solution is to work with an online business lender. Through online lenders, you can apply for your loan, submit documentation, and even receive funds all without ever leaving your office. With online lending, you have more choices than ever and many online lenders also have less stringent requirements than traditional lenders. This means that you can access capital even if you have credit score challenges, havenât been in business for long, or donât meet typical revenue requirements. On the one hand, having so many lenders to choose from is great because you can shop around your options. On the other hand, knowing where to even start can be a challenge. Instead of scouring the internet alone, check out what these online lenders have to offer. Must be in business at least 2 years. Must have a personal credit score of 650 or above. Must have a business credit score of 150 or above. You donât have to go to your local bank to get a low-interest, long-term loan. Small Business Administration loans not only have competitive interest rates but are also easier to qualify for than traditional business financing. While you can visit a lender in person to apply for an SBA loan, smart business owners know that SmartBiz is the way to go. SmartBiz is an online marketplace that has helped small business owners receive more than $1 billion via SBA loan programs. Through SmartBiz, you may qualify for a loan is as little as 5 minutes and receive your funding in just 7 days. The application process is streamlined so you can get the funding you need as quickly and easily as possible. There are two loan products to consider. The first option is SmartBizâs SBA Working Capital and Debt Refinancing Loans. These loans can be used to refinance business debt, expand your business, pay for a marketing campaign, hire employees, purchase equipment, or increase your inventory. Through this program, you could receive $30,000 to $350,000. Interest rates are 8.25% to 9.25% with repayment terms up to 10 years. The second SBA loan program available through SmartBiz is the SBA 7(a) Commercial Real Estate Loan. With this loan, you can receive between $500,000 to $5 million to purchase commercial real estate or refinance your existing commercial mortgage. Interest rates are 7% to 8.25% with repayment terms up to 25 years. If an SBA loan doesnât seem like the right option for you at this time, you can also apply for a bank term loan from one of SmartBizâs lending partners. You may qualify for $30,000 to $200,000 with repayment terms up to 5 years and fixed interest rates starting at 6.99%. No time to send out applications to multiple lenders? Give Lendio a try. With Lendio, you can get offers from multiple lenders through just one application. Lendio is a loan aggregator that has partnered with over 75 lenders, making it easier than ever to compare your financing options. Rates, terms, and requirements vary by product and lender. Time to funding also varies, but some products are available in as little as 24 hours. There is no obligation to accept an offer, and receiving your offers will not impact your credit. Unsure of which business loan is best for you? Learn more about the different types of small business loans. OnDeck has provided $10 billion to businesses around the world, and you could be the next business to get the capital you need. Through OnDeck, you can apply for one of two financing options: term loans and lines of credit. A term loan provides you with a lump sum of capital in amounts up to $500,000. Short-term loan options come with 3- to 12-month terms and are best for purchases that deliver an immediate return on investment, such inventory or a new marketing campaign. The long-term option gives you 15 to 36 months to repay your loan and is best for larger purchases such as expanding your business or buying equipment. OnDeckâs short-term loans have simple interest rates starting at 9%. This is the total amount of interest you will pay and is a percentage of your borrowing amount. Long-term loans have a 9.99% annual interest rate. OnDeck also charges an origination fee of 0% to 4% of your loan amount for short- and long-term loans. Payments are made daily or weekly and are automatically deducted from your checking account. If you need a more flexible financing option, consider applying for an OnDeck line of credit. You can receive up to $100,000 to cover unexpected expenses, make up for gaps in income, or for any business purpose. Rates start at 13.99% and payments are automatically deducted from your checking account each week. A $20 monthly maintenance fee will also be applied, but the lender will waive the fee for 6 months if you draw at least $5,000 within 5 days of opening your account. What do you do if your business is performing well, but you donât have an excellent credit score? There are options open to you, including a line of credit from Fundbox. Fundbox bases its approval decision on the performance of your business, so you donât have to have perfect credit to qualify. Through Fundbox, you may be eligible to receive a revolving line of credit with limits up to $100,000. Youâll repay the lender over a period of 12 or 24 weeks. Fees start at just 4.66% of the draw amount. If you donât use your line of credit, you wonât pay a dime. If you do make a draw, you can pay your balance off early and save since Fundbox waives all remaining fees. Payments are automatically deducted from your business checking account each week. As you pay down your balance, funds will become available for you to use whenever you need them. If youâre seeking a higher limit for a line of credit, you can receive up to $250,000 through BlueVine. Rates start at 4.8% for the most creditworthy borrowers. There are no fees if you donât use your line of credit. Repayments are made on a monthly or weekly schedule over 6 to 12 months. If unpaid invoices are causing your cash woes, BlueVine offers an invoice factoring service that could provide you with up to $5 million. You can receive up to 90% of the balance of your unpaid invoices up front. Then, once the customer pays the invoice, youâll receive the remaining balance, minus fees. Fees start at 0.25% per week. Worried that applying for financing will harm your credit score? If youâre an American Express cardholder, there may be an option available for you that has no impact to your credit score. American Express Business Loans provide you with $3,500 to $50,000 in capital for your small business. You can repay your loan over 12, 24, or 36 months. These loans come with fixed APRs of 6.98% to 19.97%. This offer is available only to select American Express Business cardholders. By logging into your Amex account, you can find out if youâve been preapproved. This preapproval will provide the maximum borrowing amount and your maximum rate. After providing some information about your business, you could receive your funds in as little as 3 business days if youâre approved. If you donât qualify for American Express Business Loans, you may be able to get the capital your business needs through Amex Merchant Financing. If your business accepts American Express cards, you could qualify for this funding option. Amex Merchant Financing provides $5,000 to $2 million to qualified business owners. Repayments are made over 6, 12, or 24 months. Youâll pay one fixed fee of 1.75% to 20% to take advantage of Amex Merchant Financing. Repay early and you can receive a rebate of up to 25% of your fixed fee. Daily payments are automatically deducted to pay off the lender. You can opt to have a fixed amount taken from your business bank account, or you can choose to get a percentage of your daily receivables withdrawn. Many of the previous options listed require at least a few months in business, but what do you do if youâre looking for capital to launch your business? Time in business requirements could bar you from receiving small business financing. However, you could qualify for a personal loan to use for business expenses. Because this isnât a business loan, time in business, annual revenue, and business credit history arenât considered. Instead, your personal credit score and annual income are used to qualify you for a loan through a lender such as Upstart. Upstart offers qualified borrowers $1,000 to $50,000. These funds can be used to fund your startup costs or cover other business expenses. Upstartâs APRs range from 7.54% to 35.99% based on creditworthiness. Repayment terms are 36 to 60 months. While online lenders make borrowing easier and more convenient than ever, you may still prefer to go the traditional route with a local bank, credit union, or nonprofit lender. If you havenât already established a relationship with a local institution, consider one of these lenders that serve small business owners in Massachusetts. Eastern Bank was founded in 1818 and has its headquarters in Boston. Today, there are over 120 locations throughout Massachusetts and New Hampshire in cities including Boston, Burlington, Reading, and Lowell. Eastern Bank also has commercial financing options, including industrial lines of credit, commercial real estate loans, and asset-based lending. You can learn more by visiting your local Eastern Bank branch or applying for your chosen financial product online. If you want a more personalized experience, consider joining a local credit union, such as Metro Credit Union. This institution has locations throughout the state of Massachusetts to best serve more than 200,000 members. Metro Credit Union branches are located in cities including Boston, Lawrence, Framingham, and Salem. Metro Credit Union also provides merchant credit card services, payroll services, and additional services to small business owners in Massachusetts. Common Capital is a community loan fund and nonprofit organization that provides tools, resources, and financing to small businesses and community projects in order to strengthen communities. Repayment terms are up to 10 years. Payments can be structured to account for seasonal fluctuations in revenue. To qualify, you must own a business in the counties of Berkshire, Franklin, Hampshire, or Hampden. If you reside in Worcester County, you may be eligible to apply for the Fast Track Program, which provides up to $50,000 with a fast turnaround. Loan applications are available online. You must provide historical financial statements and/or three years of future financial projections with your application. Startups must also include a business plan. The typical time to underwrite and close the loan is 4 to 6 weeks after the completed application package has been received. Grants are another source of financing you can use to start or grow your business. The good thing about grants is that these arenât loans, so you wonât incur debt. You wonât have to repay the grant or worry about interest or fees. However, this free money isnât available to just anyone. Most of the time, you have to meet very specific requirements for small business grants, such as being in a particular industry or being a minority, woman, or veteran business owner. Even if you do qualify, most grants have many applicants. While it isnât guaranteed that youâll receive a small business grant, thereâs no harm in applying if you meet all of the requirements. There are a variety of state and federal resources available to help you locate small business grants, but you can kick off your search with these options. The State Trade Expansion Program (STEP) grant is offered through the Massachusetts Office of International Trade and Investment in partnership with the Massachusetts Small Business Development Center Network, the Small Business Administration, and the Massachusetts Export Center. This grant is designed to help offset the costs of international business development and associated marketing costs. To qualify for STEP funding, an online application must be submitted. Proof of payment for the project, service, or activity must also be submitted for consideration. Applicants are also required to match 25% to 40% of funding. The Office of Safety Workplace Safety Training Grant is a reimbursement program for businesses located in Massachusetts. This grant is provided through the Department of Industrial Accidents. Qualifying businesses can receive up to $25,000 to pay for training and education promoting workplace safety. Businesses of all sizes are eligible to apply provided they are operating within the Commonwealth of Massachusetts and are covered under the stateâs Workersâ Compensation Law. To qualify, you must submit a grant package. Your package must include the grant application, a description of your business, training goals, a budget narrative and summary, qualifications of training providers, and a Department of Revenue Certificate of Good Standing. The Workforce Training Fund provides business grants to support the training needs of businesses throughout the state of Massachusetts. There are two grant programs available. The General Program is open to businesses of all sizes. Businesses can receive a training grant up to $250,000 through this program. Training grants must be matched dollar-for-dollar by the grant recipient. This program is open to businesses with 100 or fewer employees. Grants of up to $30,000 per company and $3,000 per employee per course are available through this program. Companies will be reimbursed up to 50% of training costs. Grants can be used to pay for training for current and new employees. An online application can be submitted along with a cover letter, Certificate of Good Standing from the Department of Revenue, and a description of training modules and courses. Finding the loans and resources you need for your startup business doesnât have to be challenging. If youâre a small business owner in the Bay State, consider putting the following resources to work for you. The SBAâs SCORE program provides free and low-cost services and resources to small business owners. Through SCORE, you can take advantage of free business counseling and mentoring online or at a SCORE location near you. SCORE also offers local workshops on a variety of small business topics such as accounting, management, and marketing. These events allow you to educate yourself on these topics while networking with other local business owners. SCORE also has additional tools and resources available on its website. This includes business guides, free templates, and blogs that offer helpful tips and tricks to business owners. There are multiple SCORE branches located throughout the state of Massachusetts in cities including Boston, Springfield, Amherst, and Salem. Since 1980, the Massachusetts Small Business Development Center (MSBDC) has provided free and low-cost resources to startups and established businesses. Through MSBDC, you can receive free one-on-one business counseling. MSBDC also hosts free and low-cost seminars and events throughout the state. You can learn more about business topics such as developing your business plan, cash flow analysis, and financing options. MSBDC offices can be found throughout the state in cities including Springfield, Fall River, Boston, and Salem. Why Does My Business Need Money? What is the purpose of your business loan? Not only will you have to put this on your loan application, but knowing exactly how you plan to use your funds can help narrow down your lender options. Letâs say that you want a flexible line of credit for emergency expenses. If a lender specializes in SBA loans, short-term business loans, or other financing that provides a lump sum, move on to the next lender. How Much Money Does My Business Need? Again, this is something you will need to include on your application. But you can also use this information to sort through lenders. If you need financing of at least $100,000, lenders that have lower maximum borrowing limits can be crossed off your list. Can My Business Afford The Loan? Lenders will look at a variety of factors to determine if you can afford a loan or other financial product. If you canât, your application will be denied or you may be approved for a smaller amount. Donât rely solely on the lender to determine the affordability of your loan. Consider your incoming revenue, your current expenses, and any fluctuations in income. Then, shop around with lenders that not only offer the amount of financing you need but also have the lowest rates and best terms for your situation. Do I Meet All Requirements? Do you meet all the requirements of your chosen lender? If a lender requires an excellent credit score, borrowers with scores below this requirement will be declined. Have bad credit thatâs preventing you from getting an affordable loan? If your need isnât urgent, take the time to boost your credit. Obtain your free credit score, review your report, and take a few easy steps to raise your credit score. This will help you receive higher borrowing amounts, lower rates, and better terms. Make sure you meet all other requirements, including time in business, annual revenue, and business credit history. Starting or growing your small business can be a challenge. However, with the right resources and a source of capital, youâll increase your chances for success. The state of Massachusetts offers multiple resources and financing options for your small business. You just need to take the time to evaluate the needs of your business and choose which resources offer the most benefits to you. The post The Best Business Loan And Financing Resources For Massachusetts Small Businesses appeared first on Merchant Maverick. Have you always had an affinity for furry (or scaly) things? Have you ever needed money? If you answered yes to both these questions, you may want to consider starting a pet-sitting business. But before you pick up the leashes and pooper-scoopers, it’s a good idea to sit down and plan out the trajectory of your business. If that sounds overwhelming, don’t fret. Below, we’ll lay out the steps you can take to start a pet-sitting business. Since you’re going to be dealing with people’s pets, you’ll need to take into account your proximity to your clients. If they’re dropping their pets off with you, you’ll want to be located somewhere easily accessible to most of your customers, and one that can accommodate animals. Depending on where you live, this can be tricky as the space necessary to accommodate animals will usually be cheaper in less centralized locations. On the other hand, if you’re going to your customers, you’ll need to take into account the amount of time you need to spend with each client’s pets, the costs of commuting to the job, and how animal-friendly/animal-hostile the infrastructure in your service area is (dog parks, etc.). Why should you register your business? Depending on your local laws, you may actually be required to register your business in order to legally pet-sit. But even in jurisdictions where it isn’t compulsory, there are some advantages to doing so. The first is that you can do business under a name other than your own. So instead of Martha Swearingen, LLC, you can do business as Baron Bark’s Pet Pampering Service (you can have that one for free). The default configuration for businesses is aÂ sole proprietorship (or a partnership, if you’re starting it with someone else). This essentially means that you’ve started a business with your own name or, if you file a DBA (Doing Business As), a name of your choice. Sole proprietorships have the advantage of being cheap and easy to start. Your taxes will also be easier to file (and lower) than they would generally be with other forms of incorporation. Keep in mind, however, that for liability purposes, sole proprietorships and the individuals behind them are essentially one and the same. Other forms of incorporation will require a bit more work and come with their own advantages and disadvantages.Â Most pet-sitting companies aren’t going to be interested in forming C-suites for governance, so you can probably ignore S-Corps and C-Corps for now. 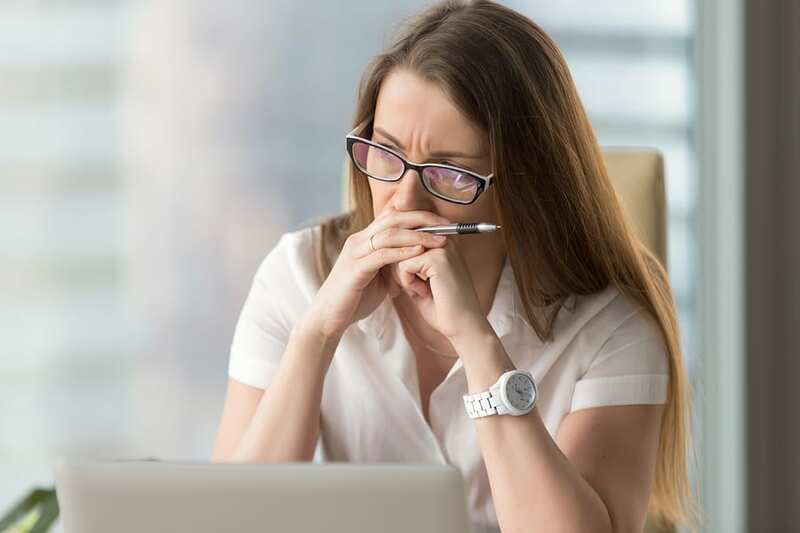 You may, however, want to consider forming an LLC to provide some separation between your personal finances and liabilities and your business ones. Limited Liability Corporations (LLCs):Â If you’ve seen LLC after a corporation’s name, you’re dealing with this type of company. LLCs offer limited liability protection for their owners without the full complexity of a corporation. Each state has its own rules for how to start and maintain an LLC, and you don’t necessarily have to register your LLC in the state where you’re doing business (although you’ll generally want to). LLC owners report theirÂ business earnings and losses on their personal taxes. C-Corp:Â This is the “basic,” default form of incorporation. Shareholders are considered the owner(s) of the company and receive limited liability protection; however, the business decisions are made by corporate officers who may or may not be shareholders. The corporation is taxed separately and shareholders pay income tax on dividends. To form a C-corp, you’ll file articles of incorporation with your state. S-Corp:Â S-corps are similar to C-corps in most ways, but come with a few additional restrictions: you have to have fewer than 100 shareholders and they have to all be U.S. citizens or residents. Unlike C-corps, profits and losses are reported on personal taxes, not unlike an LLC. In addition to filing articles of incorporation, you’ll also need to file IRS Form 2553. As a pet-sitter, you’re not just dealing with property, you’re dealing with animals whose owners often view them as part of their family. In other words, if something goes wrong, things could get ugly. Depending on your local laws, you may be required to carry certain types of insurance. The type of insurance that will probably be of most interest to you is general liability insurance. This protects you in the event of a lawsuit or accident, whether it’s an accidental injury to the animal or if you accidentally damage property within a client’s home. It doesn’t only protect you, however; it also makes you look like a safer option than a business that isn’t covered. Property Insurance: Protects the property needed to run your business (as opposed to damages you cause to clients’ property). Business Interruption: Covers costs related to unforeseen events that make your business unable to function. Professional Liability (Error and Omissions): Covers the costs of defending your company in lawsuits in cases where your business caused a financial loss. If you aren’t sure where to look, we can help you. While not absolutely necessary, you can save yourself and your customers some hassle with strategically chosen business software. For pet sitting, there are probably three types most worthy of consideration. Doing business with cash can be convenient when you’re first starting out, but as you grow, you’ll probably be missing out on clients if you can’t accommodate other forms of payment. If you have an iOS or Android device, Square offers an extremely convenient way to accept mobile payments while on the go via a small add-on you plug into your device. It’s also a very scalable service; if you’re running a retail location, there are even more features and service options you can take advantage of. Best of all, there aren’t any monthly fees to worry about. Square charges between 2.75Â – 3.5 percent per transaction (depending on whether you swipe or key in the info), so you’ll want to factor those costs into your expenses. As you add clients, it will get harder to remember their particular preferences, not to mention more difficult to fit them all into your schedule. With booking or scheduling software, you can track your time, note customer needs, and efficiently plan your days’ work. Many of these offer their basic features free of charge. Most businesses can benefit from accounting software. What you don’t want is to spend money unnecessarily on one. Wave offers most of the features you need at no cost. With no monthly fee, you’ll get invoicing, estimates, contact management, expense tracking, accounts payable, and inventory tracking. Pet-sitting, especially, if you’re going to your clients, doesn’t have a lot of overhead when you’re first starting out. In the event that you do need to scare up some money to cover starting expenses or equipment, there are a number of options available to you. If you can avoid taking on debt, it’s usually a good idea. It may hurt to part with some of your rainy day funds, but you won’t be accumulating expensive interest and fees. If you do need money from an outside source, you can often get a better deal from your support system than you can from a private lender. Keep in mind that this comes with its own risks. You may stress your relationships, especially if you aren’t able to pay back these so-called friendly loans quickly. One way to avoid this is to formalize any agreements you make with friends and family so that everyone fully understands what they’re getting into and what the expectations are. You may even want to draw up a formal contract that outlines any expected payments and return on investment. For the relatively low expenses you will encounter when you start a pet-sitting business, credit cards can probably suffice for most of your needs. Use credit cards for expenses that you can pay off within their interest-free grace period. Pick a card with a reward program that matches your spending habits and needs. Do not take out cash advances on your credit card. If you follow these rules, you can actually save money by using your credit card to make purchases. Amex’s SimplyCash Plus offers one of the best cash back programs available without an annual fee. You’ll get 1 percent back on generic purchases, 5 percent back on wireless telephone purchases and office supply stores in the U.S. But it’s the middle tier that’s most interesting. You can select a category of your choosing (airfare, hotel rooms, car rentals, gas stations, restaurants, advertising, shipping, or computer hardware) to get 3 percent back. It also carries an introductory 0% APR for the first nine months, which can be helpful if you’re just starting out. This one’s a little more niche. But if you find yourself buying supplies and random pet-related doodads on Amazon frequently, you can get a lot of value out of the Amazon Business Prime American Express Card. If you have a Prime membership, you’ll earn a whopping 5 percent back on purchases made at Amazon.com, Amazon Business, AWS, and Whole Foods Market — or an extra 90 days interest-free grace period for purchases made at those places. Even if you’re not a Prime member, you’ll get 3 percent or 60 days, respectively. You’ll need to spend around $6,000 to recoup the cost of a $119 Prime membership with points alone, but that’s without factoring in money saved through Prime’s programs (shipping, deals, etc). If you need more money than you can safely put on a credit card, or need longer to pay it off, you should consider getting a personal loan that can cover business expenses. There are some disadvantages to taking this route, namely that you’re on the hook rather than your business, but if your credit is good, it’s not the worst option out there. Lending Club is a good option for individuals who may not have the strongest credit, but have a good debt-to-income ratio. The borrowing range is fairly narrow at $1k to $40k, but when you’re just starting out, you don’t want to go too deeply into debt anyway. You’ll have three-to-five years to pay it off, which makes it fairly manageable. If you’re just entering the alternative loan market for the first time, it can be pretty overwhelming. Lendio takes some of that burden off of you by allowing you to effectively apply to their whole network of lenders with one application. Need more options? Check out our feature on startup loans. If you’ve just been watching your friends’ pets, you’ve probably had an informal agreement about the services you’d provide and the expectations of safety and liability involved. And that was probably enough. When you’re dealing with strangers in a professional capacity, however, it’s smart to formalize these elements in a contract. This can save you a lot of headaches, if not legal troubles, down the road. You’ll want to include critical information about the pet (when and what they eat, how they are with strangers, pertinent medical history, etc. ), what’s included in your services, and the client’s expectations for how their home will be treated under your care (if applicable). You’ll also want to include your fees and rates. If you can, have a lawyer look it over to make sure it checks out legally. Getting the word out is always one of the most challenging parts of getting a business off the ground. The easiest place to start is through word of mouth. Are you already looking after the pets of a family or two? Let them know you’re looking to take on more clients, along with your friends, family, and social contacts. At some point, you’ll probably want to expand outside the reach of your current contacts, which means advertising. It doesn’t have to be fancy. You can post flyers on bulletin boards and leave business cards in places trafficked by pet owners. Online classified sites like Craigslist can also cover a large audience in your area. When it comes to promoting small business, the internet is one of those things that’s easy to both over- and underestimate. On the one hand, simply buying an ad and hoping for the best likely won’t yield amazing results. On the other, you do need an internet strategy to grow your business. It doesn’t have to be fancy, but you’ll probably want a website that details your basic services and contact information. Don’t overthink it. There are a lot of great tools available that can help youÂ build a website. Remember, too, that social media isn’t just for sharing pictures of your dinner with your friends. You can use to communicate with customers, make engaging content that makes them keep your brand in mind, and announce special deals and service changes. Hopefully, everything we covered doesn’t look too intimidating. If you’re good with animals and don’t mind turning that love into a source of revenue, you can get a pet-sitting business up and running in no time! Having second thoughts about pet-sitting but are still looking to open a business? Check out our other beginners’ guides. The post How To Start A Pet Sitting Business: The Complete Guide appeared first on Merchant Maverick. Your credit card might come with some nice rewards for your spending. It might even offer some nice travel benefits. But if it carries a foreign transaction fee, that means that every charge you make while outside the US is subject to an extra fee, usually 3%. Think of it this way: for every $100 in overseas charges you make, you’ll be spending another $3 in fees. Spend enough on purchases outside the country, and foreign transaction fees will eat into whatever net benefit your card use would have otherwise brought you. Thankfully, the solution is clear. If you’re going to be using your credit card outside the US with any frequency, use a credit card with no foreign transaction fees. Most credit card companies offer both cards that carry a foreign transaction fee and cards that don’t. However, there are two prominent exceptions to this general rule: Capital One and Discover. Neither credit card issuer charges a foreign transaction fee on any of their cards, making their credit card lineups particularly appealing to the traveler who spends a significant amount of time and money outside the US. Let’s survey the landscape and highlight the best credit cards with no foreign transaction fees. The Capital One Quicksilver Cash Rewards card is a great cash back credit card for the international traveler who can’t be bothered with category restrictions on earning cash back and just wants to earn cash back at a flat rate — all without paying an annual fee. The highlight of this card is undoubtedly the unlimited 1.5% cash back you’ll earn on every purchase, everywhere. You won’t have to worry about spending categories and there is no limit on the amount of cash back you can earn. You won’t have to weigh the benefits you’ll accrue against foreign transaction fees or an annual fee either, as there are no such fees. Another great feature of the Capital One Quicksilver Cash Rewards card is the 15-month 0% intro APR on purchases and balance transfers. Most credit cards offer an introductory 0% APR for a year or less (if they offer one at all), so with the Quicksilver card, you’ll get an extra buffer period before you’ll have to start thinking about monthly interest charges. Chase Ink Business Preferred is a business credit card that confers some nice travel benefits. One of these benefits, of course, is the lack of a foreign transaction fee. Ink Business Preferred offers an eye-catching bonus offer: 80,000 bonus points after you spend $5,000 on purchases in the first 3 months. When redeemed for travel, that’s a $1,000 reward. That’s because points are worth 25% more when you redeem them for travel through Chase Ultimate Rewards. On the subject or points-earning, you’ll earn 3 points per $1Â on your first $150,000 spentÂ in combined purchases on travel, shipping purchases, Internet, cable/phone services, and on social media/search engine advertising each year. You’ll earn 1 point per dollar spent on everything else. Not only will you get a 25% boost to your points value when booking travel via Chase’s travel portal, but you can transfer your points on a 1:1 basis to the travel rewards programs of partners like United Airlines and Marriott. The Ink Business Preferred does, however, carry a $95 annual fee. Not to be confused with Capital One’s other Quicksilver card, the QuicksilverOne Cash Rewards credit card is one of the few credit cards out there that both lacks a foreign transaction fee and is available to applicants with average credit. TheÂ Capital One QuicksilverOne Cash Rewards card offers the same unlimited 1.5% cash back as the Quicksilver Cash Rewards card. Not bad for a card available to people with average credit! Of course, there are some trade-offs to be made here. Unlike Capital One’s other Quicksilver card, this card offers no introductory 0% APR, an annual fee of $39, and a high variable APR that currently stands atÂ 26.99%. The high APR combined with the lack of an intro 0% APR period means that you’ll want to avoid carrying a significant balance on this card from month-to-month. You’ll also need to spend at least $2,600 a year in order to earn enough cash back to make up for the annual fee. The Barclays Arrival Plus World Elite Mastercard makes some tantalizing offers to the frequent traveler. Along with no foreign transaction fees, this card offers three big perks for the international traveler. The 2X miles you’ll earn with every purchase is one of the highest flat earning rates of any travel credit card. And since you’ll get 5% of your miles back whenever you redeem them, the cash back rate is effectively 2.1%. What’s more, your miles can be redeemed for a lot more than just airfare. You can redeem them for hotel stays, car rentals, trains, buses, taxis, and more. You can even use your miles to pay the $89 annual fee (the fee is waived the first year), though hopefully, you can find something more exciting to use them on! Another nice card feature: If you transfer a balance to this card within 45 days of your account opening, you’ll pay a 0% introductory APR on that balance for 12 months. The Chase Sapphire Preferred card features a bonus offer ofÂ 50,000 bonus points after you spend $4,000 on purchases in the first 3 months. Thanks to the 25% value bonus you’ll get when redeeming your points for travel via Chase Ultimate Rewards, these 50,000 points can become $625 for travel expenses. You’ll alsoÂ earn 2X points on travel and dining at restaurants and 1X points on everything else. Unfortunately, the card carries a $95 annual fee (waived the first year) and lacks an introductory 0% APR period. The Platinum Card from American Express may not have a foreign transaction fee, but it does sportÂ a $550 annual fee. That should tell you who this card is aimed at. It’s not the average traveler looking to earn some points/miles on the side. This card is for the well-heeled traveler seeking the finest in travel perks. Of all the travel benefits this card offers, the best benefit might just be the 1,200+ airport lounges worldwide you’ll gain access toÂ via the American Express Global Lounge Collection. It’s the largest airport lounge network around. I may not have any personal experience with these exclusive lounges, but I’m sure they’re spectacular. The card comes with a host of other travel perks befitting a card with such a high annual fee. You’ll earn 5X Membership Rewards points on flights booked directly with airlines or with American Express Travel and on prepaid hotels booked on amextravel.com. You’ll get a fee credit of up to $200 a year to cover checked bags and in-flight food and drinks. You’ll be enrolled in the Fine Hotels & Resorts program, giving you access to travel amenities with an average value of $550/year. The card currently offers quite the bonus offer: 75,000 Membership Rewards points after you spend $5,000 on purchases on your new card in your first 3 months. Just keep in mind that the Platinum Card is a charge card, meaning you won’t be able to carry a balance from month to month. The Uber Visa card, a joint venture of Uber and Barclays, is a new credit card that offers great value to those who love to go out and live it up without worrying about things like foreign transaction fees or an annual fee. The card offers an amazing 4% back on restaurants, takeout, and bars (UberEATS included), making the Uber Visa a compelling choice for you nightlife lovers. The card also offers 3% back on airfare and hotel stays, 2% back on all online purchases (yes, including Uber), and 1% back on all other purchases. That’s not all. There’s a signup bonus ofÂ 10,000 points ($100) after you spend $500 on purchases within the first 90 days. There’s a cellphone protection plan that offers up to $600 if your phone is broken or stolen (conditions apply). There’s even a $50 credit toward digital subscriptions you’ll get if you spend at least $5,000 on your card each year. With a system that rewards going out for food and drinks, online shopping, and offers cellphone protection, this card seems targeted at millennials, or at least the few millennials who aren’t drowning in debt already. One thing that won’t appeal to millennials, however, is the card’s lack of an introductory 0% APR. The Discover it Cash Back card allows those who don’t mind tracking rotating spending categories the chance to earn 5% cash back on their purchases. Of course, you’ll earn 1% cash back on all other purchases. What makes this Discover card an even better cash back value is the fact that Discover will match all the cash back you’ve earned at the end of your first year, thus doubling your first year’s cash back haul. Beyond that, this card is a simple, reasonable credit card. There’s no annual fee, a competitiveÂ regular APR, aÂ 0% intro APR for 14 months on purchases and balance transfers, and you can access your FICO score for free. One word of caution: Though there is no foreign transaction fee, international acceptance of Discover cards can be hit-or-miss. If you spend a significant amount of time outside the US, an ordinary credit card will have you needlessly paying 3% extra to your credit card company in the form of foreign transaction fees. Don’t be a sucker. When spending money abroad, use a credit card that doesn’t charge a foreign transaction fee. Thankfully, the number of such cards has been expanding in recent years and you now have a wide range of choices! Not sure which cards you’ll qualify for? Check out these helpful resources! The post Top Credit Cards With No Foreign Transaction Fees appeared first on Merchant Maverick. When a merchant signs up for a new Square account to start processing payments, many times the focus isnât on the other features; itâs on getting paid â and rightfully so. But after signing into your account for the first time, it may become evident to you that there is a lot more to Square than just payment processing. While itâs true that Squareâs fee for payment processing may seem a bit higher on the face of things, keep a few things in mind: Square doesnât charge any additional monthly account fees, and you can expect the same flat rate for all of the cards you process, even American Express. You can also close your account any time with no cancellation fees whatsoever. However, one of the more notable reasons we like Square here at Merchant Maverick is that merchants get end-to-end, PCI compliant payment security included with every account, without paying a dime for it. We have much to cover, so letâs discover the most noteworthy POS features you can start using to manage customer engagement, employees, inventory, and take charge of your business like the pro you are! If you have an existing customer list, you can migrate that over via CSV right into the directory and get started. Every time you complete a sale, your customer directory grows to include your customerâs name, purchase history, location, and credit card (save this only with their permission). If your customer enters their email for an e-receipt, that gets added to the directory, too! The customer directory builds automatically with each sale, but you can also manually add customer information from the Square POS or the Square dashboard. (See Why We Like Squareâs Online Dashboard and Analytics App for a primer on the dashboard.) In the Customer Directory, you can add an email, birthday, make notes about their order history, or add their company, for instance. As your customers continue to shop with you, Square builds reports on customer behavior patterns, too. You can find out things like visiting frequency and when they purchased something from you last. You can view some reports from the in-app reporting in the Square Point of Sale, but to access all of the reporting features, youâll need to get to the Square dashboard. A lesser-known Square feature is the private feedback you can gather after a sale. Giving your customers this opportunity to share their opinions with you directly (and right from their receipt) helps keep the lines of communication open. When your customer leaves feedback, you can respond to them directly and offer to comp their item if you wish. In this way, you can hopefully also avoid negative public reviews â and keep your customers happier while youâre at it. Keeping up with inventory changes and accurately ordering the stock you need is probably one of the most critical business matters there is. Not only does good inventory management build loyalty and trust with your customers, but you can also avoid some unneeded expenses surrounding both excess and deficient stock. The great news is that basic inventory management comes along with your free Square POS software. Have a large amount of inventory? You can easily import any existing stock with a CSV spreadsheet. You can also add items manually through your dashboard or Square POS. Either way, you can quickly update product names, prices, and quantities as needed. Setting up low stock alerts is easy â set alerts to send when inventory gets to the amount you decide. In the screenshot below, you can see that this shop has 20 prints in stock and the alert will be sent when there are three left. Have different sizes or other variables of the same item? Square supports setting up different price points and variants, too. Square does not support partial quantities â but donât lose heart! If you sell in partial quantities, you can work around this issue by setting up a Variation, as seen in the screenshot below. Whether youâre a micro shop or you move hundreds of items a day, you can set Square up for what makes sense for your business. However, if your business has several hundreds of items, youâre likely going to find the inventory navigation a bit unwieldy. Thatâs because you have to scroll to find the item manually; you canât just type the name in a search bar. Square does offer a more robust solution with Square for Retail (See our review), starting at $60/month/register/location. To keep up with inventory and track customer spending, you can also assign your products to specific categories. Keep in mind that all of the initial work you do to distinguish your inventory through categories, variations, and accurate item descriptions pays you back with richer insights when it comes time to check out your reports. Square creates free basic reports such as Sales Summary, Sales Trends, and Category Sales, to name a few. Itâs worth it to mention that if you are in a time crunch or you donât have an item already in your inventory, you can still ring it up easily in quick sale mode â simply punch in the amount, and youâre ready to take payment! The proof is in the pudding â loyalty programs lead to more customer spending. This fact is proven time and again in retail spending statistics, but Square also reports that customers spend over 30% more after joining their loyalty program. Thatâs a nice chunk of change, but making the loyalty program work for your business is the key to profitability. The Square Loyalty Program is not free â it starts at $45 and the prices scale with the number of loyalty visits. That means that you wonât be paying for what you donât use, but we still suggest checking your reports to track success. However, you really are in charge of the program and its success in your business. Thatâs because everything is highly customizable. From a classic digital punch card to earning points each visit, you control what â and how â your customers earn rewards with you. According to Square, merchants get the best responses with their loyalty program by offering a meaningful reward, making the reward happen sooner rather than later (about 30 days from enrollment), and limiting the rules when it comes to earning rewards. When you ask your customer to join your loyalty program, they enter with their phone number, which you can then promote via text messages. The other cool thing about the loyalty program is that the add-on software gives you even more data about your customerâs purchase history and buying behavior. All of this information makes it easier to personalize customer service or even plan your next promotion. The optional employee management software can make a significant impact on your business if you have multiple locations or many employees. From customizing permissions to timekeeping, performance tracking, and advanced reports, there is a lot of potential here. With your basic Square account, you can let employees take payments as Mobile Staff and allow or disallow issuing refunds. Beyond these two functions, you are limited unless you opt for Employee Management at $5 / month per employee, however. For example, employee-specific reporting only comes with advanced Employee Management. In the screenshot below, you can see what types of insights are available under the Employee Sales reports that come along with Employee Management. In addition to gaining better insights regarding your employeeâs performance, you also have much more control over employee permissions. Choose who has access to cash drawer reports, assign individual access codes, and choose other custom permission settings both at your Point of Sale and in your Dashboard. Cash Drawer Management lets you know exactly how much cash you start with and what to expect in the drawer at the end of the session. You can set up cash drawer reports to be auto-emailed at the end of the business day. Because the reporting is specific to the device connected to your cash drawer, youâll have to run a separate report for each device. You can view your drawer history at any time from your Square app, too. All you need to do is select the date and the drawer session to see details. If you have Employee Management software, you can also control employee access to your in-app cash drawer reports. Grant your manager access while restricting other employees from accessing cash reports you may not want to make privy to everyone. Offline Mode only works with a magstripe swipe card, and you must swipe it. You have to connect to the Internet within 72 hours of the sale, or it expires. Offline transactions automatically process when you get connected with the Internet again. If payment doesnât go through after connection, you are responsible for the cost of goods or services. The good news is that thereâs no additional charge for Offline Mode, just the standard rate of 2.75% per swipe. And there are a few things you can do to protect yourself from the issues listed above. When you take a sale in Offline Mode, be sure to check for the signature on the back of the card and have your customer sign so you can compare signatures. Checking your customerâs ID is also recommended, of course. Youâll also want to double check the cardâs expiration date. If you remember these simple best practices, you can still accept offline payments with a reasonable amount of assurance that your sale is good to go. Want to find out even more about Square? Check out our Square POS review for more insights on the Square Point of Sale or visit our full Square Review for more helpful insights. If youâre ready to try Square out and see for yourself, head over and set up your free Square account to start processing your first payments! The post 6 Square POS Features To Run Your Small Business Like a Pro appeared first on Merchant Maverick. Google Sites is Google’s free website builder software that it offers as part of the G Suite of Drive, Email, Hangouts, etc. Sites has never been highly publicized like its other products. I’ve always thought of Sites as part of the bucket of products like Drawing, Blogger, and Correlate that sort of come as part of other, well-known product lines but are otherwise forgotten about…yet still awesome in their own way. If you have a Google Account, go check out Google Sites here. I’ve written about Google’s Domains product and Blogger – but have never looked at Google Sites specifically. My experience with Google Sites began back when I first started my web design business years and years ago. I never used Google Sites for my own projects until I came across it when a client of mine was using it and needed a few tasks done. So for a personal project of mine, I decided to try it out again and see who the product would really be a good fit for – and not just compare it to other hosted website builders. I also wanted to compare Google Sites to other website solutions like hosting your own website or using a hosted eCommerce platform. Disclosure – I receive customer referral fees from companies mentioned on this website. All data & opinions are based on my professional experience as a paying customer or consultant to a paying customer. Google is notorious for rolling out overlapping & competing with their own products – only to kill or update them after a couple years. And Google Sites is no different. When discussing Google’s website builder product, there are really up to 4 products in play. Ok – Blogger is an old-school but still surprisingly good blogging platform. You can create a website with it. You can do designs, templates, and everything else. It’s free. But – you are stuck with the reverse-chronological display of posts. I won’t really be covering this here. I wrote a Blogger review here. This is Google’s website product for small, local businesses. You can’t use it unless you have a Google My Business account. The product is less of a “website builder” than a super-detailed local business listing. I won’t really be covering this here. You can read a good FAQ of this product here. This is the product that I started with years and years ago. It still lives at sites.google.com – and it’s decidedly old school. You can find links to it throughout Google Sites. The ironic bit about Classic Google Sites is that it actually has more technical options than Google Sites…even if it is less user-friendly. Most of the pros/negatives of Classic Sites are the same as Google Sites. But I would not consider it for a long-term project since Google will likely kill it any day now if their history is anything to go by. This product is not related at all – despite its name. Google Web Designer is a desktop app to create designs for the Web (aka banner ads). Ok – this is what we’re going to talk about. This is Google’s main website builder software. It is available for anyone with a Google Account. It not only lives on Google Drive – but it is marketed with Sheets, Docs, Drawings and more. Ok – this software is the same as the free Google Sites, except that it is built for business subscribers to the G Suite (the old Google Apps for Business). It is exactly the same as the free Google Sites, but has different account permissions and generally receives product updates – like custom domain mapping – sooner than the free version. Let’s look at the pros & negatives. Google Sites has a lot going for it. I know an eCommerce store owner who started and ran her store for 2 years before she began to look for a new solution (though it took a lot of hacking around with PayPal scripts). Here are the major pros. Google Sites is free with unlimited use, traffic, and websites. This is possibly the most compelling part of Google Sites. It’s part of Google’s relentless push to keep you signed into your Google account for as much as possible. If you are signed into your personal Google account, you can go to sites.google.com right now and get started. There are no risks, no upsells, no expiration dates or limits. It’s just free due to Google’s crazy innovative business model. And if you are a paying G Suite for Business user, Sites is bundled with your subscription along with all the backups, administrative controls, and guarantees that come with your account. *of course – there is your time and learning curve investment – which we’ll discuss in the negatives section. Sites is fully integrated with Google’s products. With the new Google Sites, it even has all the same Material Design conventions of Google’s other products. Your site is saved directly in your Google Drive. You can access it anywhere with any device. You can download it along with your other data from Google Takeout. There are no additional passwords or account setup – it’s seamless and fully integrated. Google Sites is simple and straightforward to use. You can build a multi-page beautiful, functional website quickly and simply. Additionally, Google handles your security issues…since it is one and the same as your email account. Like security, Google handles your speed considerations. The resulting HTML / CSS product is lean on fast servers and available worldwide. Since it is fully integrated with your Google Account – it is simple to share & preview. You can create & collaborate on a website as easily as you can on a Google Doc. Now – there are plenty of negatives with Google Sites. Like I’ve said with all website builders – there is no overall “best” – there’s only the best for you considering your budget, time, resources, and goals. After reading the pros of Google Sites – you are probably wondering how Google Sites isn’t the go-to solution for every website. Well, Google Sites has plenty of negatives. But the summary is that Google Sites is very feature-limited and not really meant for long-term website projects (hence the simplicity). I like to use real estate as an analogy. If running your own website on your own hosting account is like owning a building on your own property and using a website builder like Weebly is like running a business in a leased storefront, then Google Sites is like leasing a table at a farmer’s market or festival. It’s great for short-term, quick projects. And you do have plenty of options to “make it yours” – but it’s not really meant for a long-term business website. Let’s look at some of the specifics. Google Sites’ design features are sorely limited. Your template limits exactly what you can and cannot edit. And – you have very few templates to choose from in the first place. You cannot add or edit CSS and add any kind of interactivity. The design features on offer are simple and straightforward – but they are all Google Drive related design tools. There’s some embedding but no editing the embed details. Although the templates look good, you can’t edit the layouts or any of the core parameters. For example, with your navigation menu, you get to choose from the top right or the sidebar…and that’s it. There’s no 3rd option or even re-arranging. The templates look good on all devices but impose strict limits on everything to make this feature happen. If you want to build any sort of brand identity or build a custom design with tempates – then you’ll be sorely limited with Google Sites. Google Sites’ marketing features are sorely limited as well. As a professional marketer, this negative is particularly glaring. You get Google Analytics access so that you can have critical data like Sessions and Pageviews and such…but that’s about it. There’s no adding a Facebook Pixel, Share Buttons or Redirects. If you’re into SEO, there’s no editing your Title tag or meta description. Now – if you get all your traffic from offline methods, direct web referrals, or word of mouth then these tools may not matter. However, since marketing data is only as useful as the amount of historical data you have – if you ever have plans to grow or use other marketing channels, then Google Sites will not be a good option. All Google Sites use https://sites.google.com/[yoursitename] as the default domain name. Unlike Classic Google Sites, there is no option to add a custom domain name. I don’t know why. The feature might be coming since Google rolled out custom domains to the new Google Sites for G Suite subscribers. Either way – this is a major downside for Google Sites as a business or even a personal website. While not strictly necessary for a successful website, a domain name is fundamental for any long-term project. It’s this missing feature that really highlights the fact that Google Sites is really only for temporary projects or internal uses – similar to a Google Doc or Presentation. Google is notorious for killing off products – including really popular ones. And while Google Sites does seem to be a core part of Google’s productivity suite…that could change at any time (as is the case with the Classic Google Sites). And while you can export your data as part of Google’s Takeout program, there’s no way to directly export or access your account via FTP within Google Sites. If you are running a business or even a personal site on Google Sites, you should be aware that it could go away at some point in the future and you should have a plan for that. Google Sites is a good product that serves a purpose – but how does it compare directly with other products in the website builder world? I reviewed Squarespace here. If you have a small, temporary project, then Google Sites will be the fit. Squarespace is pricey and has its own learning curve. But – if you have a long-term business or personal project and you value well-done templates that display high-quality photography, then Squarespace will be a better fit. I reviewed Wix here. Wix has a free plan where you use a [yoursitename].wix.com domain name – so in some ways it’s similar to Google Sites. But with Wix, you have premium plans and access to custom domains. They also offer more features on their free plan. Wix has similar issues to other website builders, but unless you are building a very small free project, then I’d go with Wix. Unlike Google Sites, Wix at least allows you to design more and grow out of the free plan. See Wix’s plans & pricing here. I reviewed GoDaddy’s Website Builder (aka “GoCentral) here. It is very feature limited compared to Google Sites…but it’s also super easy to use with a few more marketing tools. Critically, it allows you to seamlessly integrate a custom domain. However, it’s also a paid product. If you have some budget and want a custom domain, but do not want/need many features – then I’d use GoDaddy’s Website Builder. For a free price point – you’ll get a similar product with Google Sites. I reviewed Weebly here. Weebly is a solid hosted website builder. They have a free plan with a [yoursitename].weebly.com domain name – but they also have upgrade options and custom domain name options and interesting beginner-level ecommerce options. Unless you have a specific reason to use Google Sites, I’d use Weebly for their drag & drop and upgradeable setup. I wrote about WordPress.com vs. WordPress here. WordPress.com has a free plan that is limited to [yoursitename].wordpress.com domain name. The setup is focused on blogging – but they have website features & plenty of upgrade options – including a custom domain option. Unless you have a specific reason to use Google Sites, I’d use WordPress.com for their design features and upgradeable setup. I wrote about setting up a WordPress website here. This option requires some budget (about $5/mo) and has some learning curve, but it’s also the best long-term option for businesses investing in their online presence. If you have simple, short-term project with a definite end then I’d just use Google Sites. If you know that you have a long-term project, then you’ll want to invest in the learning curve and go ahead and set up your own site on your own hosting. So – is Google Sites good for small business? Yes…ish. As a defined short-term solution or project-based solution, it’s great. Go set up your site here. But…if you have a short-term project that might expand, then I’d look at other options. Take my best website builder quiz here. If you have a project that is long-term and worth investing in, then I’d go ahead and get your self-hosted website setup w/ instructions here. The post Google Sites Review: Pros & Negatives of Using Google’s Website Builder appeared first on ShivarWeb. Sam’s Club and Costco are the two biggest wholesale clubs (also known as warehouse clubs) in America, and it so happens that each one offers a consumer credit card. The Sam’sÂ Club Mastercard and theÂ Costco Anywhere Visa Card by Citi have a lot in common. The two cards have similar APRs, a similar annual fee structure (both cards technically lack an annual fee, but you must be a member of the wholesale club to get the card, and each wholesale club has an annual fee), and similar cash back rewards. However, as you’ll see, there are a few key differences. Let’s see who comes out on top in a battle between Sam’s Club and Costco for wholesaler credit card supremacy. The Sam’sÂ Club Mastercard requires good to excellent credit (a credit score of 690+) while the Citi Costco Anywhere Visa requires excellent credit (a credit score of 720+). Sadly, neither card features an introductory 0% APR period, so be aware that you’ll be on the hook for interest charges immediately if you start carrying a balance from month to month. As for the purchase APR, the Sam’s Club Mastercard offers a variable APR of eitherÂ 17.15% or 25.15%, depending on your credit. By contrast, the Costco Anywhere Visa sports a variable APR of 17.49% for all cardholders. With great credit, you can qualify for a lower APR with the Sam’sÂ Club card, but on the other hand, Costco won’t try to hit you with a 20+% APR no matter what your credit. Technically, neither card has an annual fee. However, you have to be a member of each wholesale club in order to get either card, and each club has an annual fee. Sam’s Club memberships cost $45 (baseline membership) or $100 (premium membership) while Costco membership costs $60 (baseline) or $120 (premium). Sam’s Club has a slight edge here. Neither card has a foreign transaction fee. The Sam’sÂ Club Mastercard currently has a modest bonus offer: $45 as a statement credit when you make a $45+ purchase on the same day you receive your card (offer ends June 15, 2019). The Costco Anywhere Visa has no bonus offer. First, the similarities: Both cards offer 3% cash back on dining and travel purchases, both cards offer 1% cash back on all non-bonus categories, and both cards have the same inconvenient and cumbersome redemption system in which you can only redeem your cash back once per year and only inside a physical Sam’s Club/Costco store. Let’s now look at the three main differences. The first difference: The Sam’s Club card offers 5% cash back on gas while the Costco card only offers 4% on gas. This is somewhat mitigated by the fact that your first $7K in gas spending per year gets you the high cash back rate with the Costco card, whereas with the Sam’s Club Mastercard, the first $6K in annual gas spending gets you 5% cash back. Doing the math reveals that you can earn a maximum of $300 in cash back on gas with the Sam’s Club card before your gas cash back rate reverts to 1%. With the Costco card, that number is $280 — just a $20 difference. Slight edge to Sam’s Club here. The second difference: Costco’s Anywhere Visa gives you an elevated 2% earning rate (not great, but better than 1%) on spending at Costco and costco.com. By contrast, the Sam’s Club card does not reward your Sam’s Club spending with extra cash back. Your Sam’s Club purchases (in-store and online) will earn you just 1% cash back, the standard rate. The Citi Costco card wins this point. The final difference, and the most significant one for the consumer or entrepreneur who spends a lot on the bonus categories in question here, is that Costco does not cap the amount of cash back you can earn per year. The Sam’s Club Mastercard does cap your annual cash back rewards — at $5,000 per year. As the Costco card wins this point, the Costco card wins this category by a hair, but if your card spending goes mainly towards gas, the Sam’s Club Mastercard might be better for you. The Citi Costco card clearly has the edge here. The Sam’s Club Mastercard and the Costco Anywhere Visa Card by Citi are so similar that if you’re deciding between these two cards, it’s probably going to come down to whether you prefer Sam’s Club or Costco. All else being equal, however, I’m inclined to give the Citi Costco card a narrow victory. That’s because the Costco Anywhere Visa a) doesn’t cap your annual cash back and b) offers 2% cash back when shopping at Costco (in-store and online). The Sam’s Club Mastercard caps your annual cash back and only offers 1% cash back at Sam’s Club, thus losing this battle. However, the inconvenient and inflexible reward redemption programs of both cards mean that most consumers will be better served getting an “ordinary” cash back credit card offeringÂ better cash back redemption and other features these cards lack, such as an introductory 0% APR and a generous bonus offer. Thinking about using a personal credit card to fund your business? Check out our helpful guide to using personal credit cards for business. The post Samâs Club VS Costco Credit Card: Which Is Best For Your Business? appeared first on Merchant Maverick. Even though you are not legally required to purchase health insurance for a single employee by law, there are still great reasons to offer health benefits. In addition to attracting quality applicants for your position, your business also runs better when your employee is happy and healthy. And it may not be as expensive as you think. Here is a quick rundown on procuring health insurance for both yourself and your employee. The good news? It doesn’t have to be a difficult process! Small business health insurance is medical coverage that helps you pay for general medical care, routine physicals and health exams, surgeries, and medical emergencies. Each health insurance plan is a unique combination of options that run the gamut between deductibles and no deductibles, copays or no copays, and choices about medical providers. Is Health Insurance Legally Required For Small Businesses? The answer to this question in general is: Maybe! But it’s not legally required if you only have one employee. Hereâs a break down of the recent health insurance laws and what they mean forÂ yourÂ small business. In 2010, the Federal Government passed the Affordable Care Act (ACA) and through that health care mandate, over twenty-million more Americans have had access to health insurance who didn’t before. Many of those people were sole-proprietors, independent contractors, and small business owners. Better known as âObamacare,â the health mandate extended to employers and required businesses of a certain size to provide health insurance. So, what exactly does the Affordable Care Act mandate?Â If your business is considered an Applicable Large Employer (ALE) with 50 or more full-time employees for more than six months out of the year, then you will need to provide your employees with health insurance as a legal requirement of the ACA. So as a small business owner with only one employee, you are not required to have health insurance. But, just because you don’tÂ have to provide it doesn’t mean you should overlook health insurance as an option. Providing health care is not only a choice but also a wise investment in the happiness and well being of your employees, and the government offers tax credits to businesses with fewer than 25 full-time employees who supply health coverage. Can You Have Health Insurance With One Employee? Can you provide health insurance for your small business if you only have one other employee? Yes! You can! If your business consists of just you and one other person, you can offer health coverage in several ways. However, before you start shopping for plans, it’s important to understand what types of plans will be available to you and what you’ll need to show and prove to start the process. Insurance companies have a specific definition of an employee. If you are looking into acquiring group health insurance for you and an employee, first you’ll have to prove that you actually have a single employee while you are filling out applications. According to the definitions, a common law employee cannot be you (the business owner) or your spouse. An employee is defined as someone whose workload you control, both in what that work is and how that work is performed — and that person must also be working at least 30 hours a week. An independent contractor cannot be considered an employee. If you do not have a qualifying employee, group health insurance isn’t an option. Don’t let that discourage you from finding coverage, however. There are many independent and family plans available when during open-enrollment periods. Can I Enroll In Group Health Insurance With One Employee? If you have one employee as defined above (a person whose workload you control, who puts in at least 30 hours, and who is not your spouse), then you absolutely can enroll in group health insurance with one employee. If you have between 1-50 employees, the government’s Small Business Health Options Program (SHOP) group health plans are available to you. Tax Credits:Â Under the guidelines of the ACA and the tax codes for 2019, you may be eligible for a tax credit if you enroll your business in group coverage and you have between 1-25 employees. Lower Costs Than Individual Plans:Â Prior to the group health plans offered for small businesses with one employee, the alternative was to purchase individual plans. However, with each new person added on to a group plan, the cost per policy lowers. Coverage Designed Specifically For You: Group health insurance broadens the plans and providers you can choose from, whereas with independent insurance, you get what you get. With group health insurance, you and your employee can discuss health options and choose a group health plan that fits with your needs. The opportunity to choose the deductibles and copays you want is one valuable reason to go through a group insurance provider. Better For Your Business: Three-quarters of job-seekers say that health insurance and benefits are one of the key factors they are looking for in a job. Examine your businessâs budget and ask yourself:Â How much money should I allot to health care?Â How much will I contribute per employee?Â You want to choose a plan that offers good coverage to your employee, but that also fits within your businessâs budget. This will play a large role in which business insurance plan you choose. Itâs vital to know exactly what you are paying for and what you might be asking yourÂ employeesÂ to pay for. What kind of coverage are you hoping to offer? Go prepared to your first meeting with a provider or broker with an idea of what kind of policy would benefit your employee the most. Decide if you are going to include ancillary insurance options like dental and vision to the policy. Study the numbers and look at the plans. Sometimes the cheapest plan may not be in your best interest as a small business owner. Examine how much you can buy and how the plans work for your employees. Donât be afraid to ask questions, push for numbers, and run scenarios with the experts. When comparing quotes and choosing the right health provider, do your research. Read on for more advice about choosing the right health insurance provider for your small business. There are several ways you can compare and contrast providers and plans. Healthcare.gov offers ratings of health plans and under an in-network plan, you can plug their name into the system and see availability and ranking. You can then sit down with the list of providers in your area and look at their rankings as well. See our longer post on small business health insurance for more things to think about as you make your choice. If you can demonstrate you have one employee, then you are set to explore group health options for your company. The best place to start would be the Small Business Health Options Program (SHOP) group health plans. Tool around their site, enter your information, and see what options are available. Health insurance is not a trivial purchase — your employees work harder and better when they feel protected and healthy. Now, with the addition of the tax benefits and expanded options, it’s easy to finally make it happen. The post How Health Insurance Works For Small Businesses With Only One Employee appeared first on Merchant Maverick. Business financing is an expansive topic covering many types of financial products. Everyone’s got a pretty good idea of what a loan is, but less familiar is the line of credit, arguably one of the most useful types of financing a business can secure. We’ll take a look at what lines of credit are, the difference between secured and unsecured lines of credit, why you might want one, and where you can find them. What Is An Unsecured Business Line Of Credit? Have you ever had a credit card? If so, you have already have some experience with how a line of credit works. When you use a credit card, you’re drawing on an amount of potential funding extended to you by the card’s issuer. You can use it as often as you want so long as the total amount you’ve used doesn’t exceed your credit limit. Most credit cards are revolving lines of credit, which means that as you pay off your balance, your credit becomes available for you to use again. Most lines of credit are revolving; the exceptions tend to be lines of credit extended for specific purchases, in which case once you use the credit, it’s gone for good. Credit cards aren’t the only lines of credit out there, however. Lender-issued lines of credit may be slightly less convenient for making retail purchases, but have far better interest rates for those times when you need to carry a balance from month-to-month. This makes a line of credit one of the most versatile ways to fund your business, acting a bit like an insurance policy you can draw on when you need to. So what does that “unsecured” part of the phrase mean? Essentially the same thing it does with any other type of loan. An unsecured line of credit does not require you to put up collateral as a condition of securing it. This means the lender can’t immediately seize a particular asset should you default on your line of credit. By comparison, a secured line of credit might require you to make a cash deposit or put up an asset as collateral. Generally speaking, unsecured financial products have higher rates of interest to make up for the increased amount of risk the lender is taking on. On the plus side, you don’t have to worry about coming up with collateral. Note that “unsecured” does not mean the lender can’t come after you if you default. Many lenders will require you to sign blanket liens, for example. The first step toward getting an unsecured business line of credit is finding a lender who offers one. If you have a good relationship with your local bank or credit union, it’s worth inquiring about what they offer and their terms. If those lines of credit are unavailable or out of reach, you still have options available to you. Many online lenders offer unsecured lines of credit. Here are a few suggestions. OnDeck offers up to $100,000 credit limits on unsecured lines of credit to customers with a credit rating above 600 who have been in business at least a year and have over $100,000 in gross annual revenue. It’s a good fit for profitable companies that don’t have stellar credit. There is, however, a $20/month fee for keeping your line of credit open, but OnDeck will waive it for 6 months if you draw at least $5,000 from it during the first five days after opening the account. There is no draw fee. If you’re looking for a line of credit with a higher credit limit, you may want to consider BlueVine. BlueVine offers unsecured lines of credit in two forms, one with a six-month interval, the other with a 12-month. The 12-month version has higher rates than the six-month. Rather than charge an administrative fee, BlueVine charges 1.2 – 2.5 percent per draw. You can pay your balance off at any time during your term, but you will be charged interest at a rate of 0.3 – 1.5 percent per week for six-month lines of credit, or 1.5 – 6.5 percent per week for the 12-month. Must be in business at least 12 months and make at least $50,000 annually (or $4,500 for the last 3 months). No specific credit score requirements. If you’re having a hard time getting your credit up over the 600 mark, you can still get an unsecured line of credit. One such option is through Kabbage, which offers a credit line of up to $250,000 to businesses with at least $50,000 in annual revenue. Like BlueVine, Kabbage offers lines lasting six-months or 12-months. There’s no draw fee, however. The interest rate system is a little confusing, so be sure to check out their loan calculator to get a sense of what you’ll be charged, and at what month of your term (yes, really). Another way to make an end-run around a bad credit rating is through Fundbox. They offer lines of credit to businesses with annual revenues of $50,000 or more who have had an active account with Fundbox-supported accounting software (Quickbooks, for example). Funbox charges by the amount drawn, starting at 4.66%. You’ll then make weekly, automated payments to pay it off. If you’re looking for better interest rates, have decent credit, at least $100,000 in annual revenue, and three or more employees, you may qualify for an unsecured line of credit from Fundation. At 18-month term lengths, Fundation’s lines of credit run a bit longer than the other options we’ve listed. Just be aware that there’s a $500 closing fee and a 2% draw fee. Payments are made monthly. Remember, most credit cards are a type of unsecured line of credit. In comparison to the offerings above, a business credit card shines when it’s used to make purchases you can pay offer within the interest-free grace period. Even better, business credit cards offer reward programs you can take advantage of to actually save money. With no annual fee and a 5 percent top tier return on qualified purchases, Chase Ink Business Cash offers a lot of benefits with little risk. The card shines particularly brightly if you use it to buy office supplies or telecom services. The only real downside is that the card caps the upper and middle tier rewards at $25,000, so if you’re spending more than that on office supplies or telecom purchases per year, you’ll only get 1 percent back after you’ve hit the cap. If your purchasing needs don’t fall neatly into any one reward category, you may want to consider American Express Blue Business Plus. You’ll get 2 percent back on all purchases for the first $50,000 you put on your card per year. After that, you’ll get a 1 percent return. There’s no annual fee, so you won’t have to do any fancy math to figure out whether or not you’re saving money by having the card in your wallet. Unsecured lines of credit can be extremely useful tools for financing your business, and they come in enough variations that you can probably find one that fits your specific needs. Remember to keep their variable fee structures in mind, though, so you know when you’re paying and for what. Not sure what unsecured line of credit you might qualify for? You can check your credit before the lender does. Does an unsecured line of credit sound like more trouble than its worth? Unsecured business loans might be what you need. The post Top Unsecured Lines Of Credit For Business appeared first on Merchant Maverick. One of the primary ways for people to build up their credit scores and establish a healthy credit history is to make monthly credit card payments on time. Of course, this begs the question: How do you build up your credit when you don’t have a credit card in the first place? Thankfully, there are a number of credit cards that can help those with bad credit — or even no credit — cover daily expenses while boosting their credit scores. Most of them require a security deposit, after which you’ll be extended a credit line equal to that of your deposit. Unfortunately, for those with no credit, unsecured credit cards are hard to come by, though they do exist, as you’ll see. Let’s delve deeper into the world of credit cards for those without credit. The Petal Visa credit card, issued by Utah-based WebBank, is a rarity in the credit card industry in that a) it is marketed specifically as a credit card for people with no credit history at all, and b) it is an unsecured card. You won’t have to make a security deposit in order to use the card! What’s more, your payments will be reported to the three major credit bureaus, thus building your credit (assuming you make your payments on time). When you apply for the Petal Visa card, your income and spending will be analyzedÂ to determine your creditworthiness, and while you can get approved without having a credit score, having a somewhat decent credit score may help you secure a higher credit limit. The card offers credit limits between $500 and $10,000, which is quite generous for a card of this sort. The card also offers a variable APR ofÂ 15.24% – 26.24%, which is lower than that of many credit-building cards. Remarkably, the card charges no fees whatsoever — no annual fee, no foreign transaction fees, no late fees, and no penalty APR. Simply put, the Petal Visa card is a consumer-friendly product in a field where such products are few and far between. The card has no rewards, cash back, bonus offer, or introductoryÂ 0% APR. The OpenSky Secured Visa card is a rarity in that the company does not check your credit when you apply, making this card ideal for somebody with no credit history. As this is a secured card, you’ll have to make a security deposit of at least $200 which will establish your credit line. And though there are no rewards to earn and no bonus offers, the card does report your spending to the big three credit bureaus, making the OpenSky Secured Visa a solid choice if you need to establish a credit history. Unfortunately, the card sports a $35 annual fee and a 3% foreign transaction fee. However, the card’s APR comes in at just under 20%, which beats the APRs of many credit cards pitched to people with no credit or poor credit. The Discover it Secured card is a traditional credit-building card in that it requires a security deposit. Your deposit, which must be between $200 and $2500, will become your credit limit. And like the other cards featured in this article, the card reports to the three major credit bureaus. The Discover it Secured card offers an impressive level of rewards for a card of this type. You’ll earn 2% cash back at gas stations and restaurants on up to $1,000 in combined purchases each quarter and 1% cash back on all other purchases. What’s more, at the end of your first year, Discover will match all the cash back you’ve earned by that point. The card also carries no annual fee. The Secured Mastercard from Capital One offers an unusual benefit for a secured credit card: You may be able to get a credit limit higher than the amount of your security deposit. If you’re approved, you’ll get an initial $200 credit limit, but your required security deposit will be either $49, $99 or $200, depending on Capital One’s assessment of your creditworthiness. You can also get access to a higher credit line after making your first 5 monthly payments on time. While the card has no annual fee and no foreign transaction fee, you won’t earn any rewards for your spending. The card’s APR (currently at 26.99% variable) is also rather high, so you won’t want to carry a monthly balance if you can avoid it. TheÂ Journey Student Credit Card from Capital One doesn’t require a security deposit and doesn’t require you to be a college student. Nonetheless, it offers some nice perks for students looking to build up their credit score. Sadly, you must have at least average credit to qualify. The Journey Student Credit Card offers 1% cash back for all your purchases, but if you make your monthly payments on time, you’ll get 1.25% cash back for all your purchases each month you pay on time. It’s a nice inducement to pay on time if the prospect of boosting your credit score (the card reports to the credit bureaus, naturally) isn’t inducement enough! The card carries no annual fee or foreign transaction fee, but like Capital One’s Secured Mastercard, the card features a high variable APR of 26.99%. The Spark Classic from Capital One is a business credit card for rebuilding credit. As such, the card comes with business perks such as free cards for your employees, all while helping you build your business credit score (the card reports to the business credit bureaus, not the personal ones). One of the few cards available for business owners that requires only average personal credit, the card offers a modest cash back rate of 1% for all your purchases. It also features no annual fee and no foreign transaction fee. The card’s high APR (25.24% variable) means that you should try to avoid carrying a significant balance from month to month. TheÂ Credit One Bank Platinum Visa for Rebuilding Credit (note that the issuer is Credit One, not Capital One) is a credit option for borrowers with bad/limited credit who can’t or won’t pay a security deposit. However, due to the fees involved, you might not want to make this card your first choice. If you are approved to get this card, you’ll have to pay a $75 annual fee immediately, thus bringing your credit line down from $300 to $225. Unfortunately, after the first year, your annual fee may rise to $99/year. I say “might” because Credit One lists the post-1st-year annual fee as “$0 to $99”. The company also reserves the right to divide your annual fee by 12 and charge you on a monthly basis. While the card offers 1% cash back on eligible gas and groceries plus mobile phone, internet, cable, and satellite TV services, only “qualified” Platinum Visa card members can receive 1% cash back rewards on all purchases. Credit One doesn’t explain how you can qualify for this. TheÂ Wells Fargo Business Secured Credit Card is one of the few secured business credit cards out there. Let’s take a closer look. With this card, you’ll get a $500 to $25,000 credit line based on the amount you deposit. As for spending rewards, you’re given the choice between getting cash back and getting reward points. Choose cash back and you’ll also get 1.5% cash back on all your purchases and yourÂ cash back will be credited quarterly to your account. If you choose reward points, you’ll get 1 point for every $1 spent on net purchases and 1,000 bonus points when your company spends $1,000 or more in any monthly billing period.Â You can redeem points for gift cards, merchandise, airline tickets, and more. The Wells Fargo Business Secured card comes with an annual fee of $25 per card, no foreign transaction fee, and a relatively competitive APR. And while Wells Fargo states that your card activity “is shared with major credit bureaus to help build credit history,” the company does not specify whether these bureaus are business credit bureaus or consumer credit bureaus. The Citi Secured Mastercard is another secured credit card — one meant for people with no credit or a limited credit history. The card requires a security deposit of between $200-$2,500 which will be the basis for your credit limit. Citi will report your credit activity to the major consumer credit bureaus. There’s no annual fee, but the APR is relatively high and there are no rewards to accumulate or bonus offers to earn. The primary way that using a credit card helps you build credit is that when you make your monthly payments on time, most credit card issuers will report your activity to the major consumer credit bureaus, who will then take your payment activity into account when setting your FICO score. However, there’s more to it than just that. Check out this article on using credit cards to build your credit for a more detailed look at the subject. It’s a cruel catch-22: Having credit makes it easier to build credit. When it comes to the credit cards you can obtain with no credit history, the options are limited and imperfect. Thankfully, as this article has demonstrated, you do have some viable credit card options when seeking to establish a healthy credit history. Of course, no matter what credit card you’re able to obtain, it won’t help your credit score if you can’t make your monthly payments on time. Use your new card wisely! Here’s some additional information to help you on your credit journey! The post No Credit? Here Are The Best Credit Cards To Improve Your Score appeared first on Merchant Maverick. Folks who travel regularly, both for business and for personal reasons, are likely to use frequent flyer programs to earn reward miles for their flights. As American Airlines is, by most metrics, the world’s largest airline, reward miles earned via American Airlines’s AAdvantage program are particularly useful. One way to accelerate the rate at which you earn AAdvantage miles is to use an American Airlines co-branded credit card. Several such cards are available, so you might need a little guidance to find the card that makes sense for your particular needs. Thankfully, you can let us handle that part! While each AA card shares these common features, the cards diverge from one another in other ways, such as fees charged, additional ways to earn miles, and travel perks. Let’s examine each American Airlines credit card and the primary selling point of each American Airlines credit card. The AAdvantage MileUp Card’s value for the average traveler is enhanced by the fact that the card carries no annual fee. With most credit cards that earn airline miles, you have to weigh the miles you earn against the annual fee to see if you’re coming out ahead. If you don’t travel all that often, you might find yourself on the wrong side of this particular Mendoza line. However, since the AAdvantage MileUp card carries no annual fee, you won’t have to weigh your benefits against your fee. Plus, not only will you earn the same double miles from your AA purchases as with every other AA card,Â but you’ll also earnÂ 2 miles for every $1 spent at grocery stores. This card doesn’t offer the same free checked bag perk offered by other AA credit cards. It is aimed more at the casual traveler or the entrepreneur who takes occasional vacations rather than at the frequent business traveler — a distinction highlighted by the double miles that accrue to grocery store purchases. Unfortunately, this card requires excellent credit in order to qualify. There’s also a 3% foreign transaction fee, no introductory 0% APR period, and a relatively high APR. TheÂ CitiBusiness / AAdvantage Platinum Select World Mastercard is one of just two American Airlines co-branded cards currently being offered that is a business credit card. If you want to earn AAdvantage miles with your American Airlines travel and that of your employees, check out this card (or the Barclays AAdvantage Aviator Business Mastercard, which we’ll discuss later). The card currently offers an impressive bonus offer of up to 60,000 AAdvantage miles: Earn 50,000 bonus miles after making $3,000 in purchases within the first 3 months and another 10,000 bonus miles after making a total of $10,000 in purchases within the first 12 months. You’ll also earn 2 miles for every dollar spent on gas, cable/satellite providers, select phone companies, and car rentals. The card does carry a $99 annual fee, though this is waived the first year. There is no introductory 0% APR period (boo!) and no foreign transaction fee (yay!). TheÂ Citi / AAdvantage Platinum Select World Elite Mastercard is the personal counterpart to the CitiBusiness card listed above. It’s the most well-rounded of the bunch and makes for a solid travel credit card for frequent travelers. With this card, along with theÂ AAdvantage miles you’ll earn on AA flights, you’ll earn 2 miles per $1 spent at restaurants and gas stations with no cap on the amount of miles you can earn. You’ll also get a bonus offer of 50,000 bonus miles after you make $2,500 in purchases within the first 3 months. Some handy travel perks come with theÂ Citi / AAdvantage Platinum Select World Elite Mastercard (I’m sorry each of these cards has such an annoyingly long and similar name). You’ll get preferred boarding on all AA flights and one free checked bag on domestic AA flights. You’ll also get a $100 AA Flight Discount after you spend at least $20,000 on purchases during your cardmembership year and renew your card. What’s more, there’s no foreign transaction fee. There’s also a $99 annual fee, waived for the first year. The APR also happens to be on the high side. TheÂ Citi / AAdvantage Executive World Elite Mastercard is the luxury option when it comes to American Airlines co-branded credit cards. This is apparent in the card’s whopping $450 annual fee! The card also comes with a bonus offer of 50,000Â AAdvantage miles after you spend $5,000 on purchases within the first 3 months. And as you would expect of a luxury travel card, there’s no foreign transaction fee. The card’s high annual fee means you’ll have to do quite a bit of traveling in order to fully reap the rewards of the card (or maybe you just really enjoy priority boarding and airport lounge access). If this is you and you don’t mind sticking to American Airlines for your air travel, check out theÂ Citi / AAdvantage Executive World Elite Mastercard. The AAdvantage Aviator Red World Elite Mastercard is an AA co-branded credit card issued by Barclays, unlike the cards above, which are all Citi-issued. It also comes with two unique and striking benefits. First, unlike any other American Airlines credit card, this card offers an introductory 0% APR for 15 months on all balance transfers posted to your account within 45 days of your account opening. Second, this card offers a huge bonus of 60,000 miles, and all you have to do to get it is toÂ make a single purchase on your card within 90 days. Of course, you’ll also have to pay the $95 annual fee, as it is not waived the first year. The card comes loaded with great American Airlines-related perks. You’ll get preferred boarding and one free checked bag for you and up to four companions on your reservation, plus dedicated concierge service. You won’t have to pay any foreign transaction fees, either. TheÂ AAdvantage Aviator Business Mastercard is an American Airlines co-branded business credit card issued by Barclays. Compared to the CitiBusiness card, this Barclays AA business credit card has a bonus offer that is quite easy to obtain. With just $1,000 in spending in your first 90 days, you’ll get 60,000 AAdvantage bonus miles. Most businesses in the market for a business travel card should be able to hit this threshold without much problem. While the $95 annual fee is not waived for the first year, you’ll be accruing benefits that will exceed this if you do a significant amount of business travel. Not only will you earn double miles on all AA purchases, but you’ll also earnÂ $3,000 Elite Qualifying Dollars after spending $25,000 on purchases each calendar year. These Elite Qualifying Dollars boost your status in the AAdvantage program when you earn them, entitling you to more and better travel perks. Other card benefits include a 5% bonus on your miles earned every year after your account anniversary date based on the total number of miles earned using your card, a free checked bag + preferred boarding for you and four companions, complimentary employee cards, and a Companion Certificate for a guest, worth $99, which you’ll get each year after your account anniversary after spending $30,000 or more on eligible purchases. To reiterate a point I made earlier, American Airlines is the world’s largest airline. Therefore, AAdvantage miles are going to be more useful for more people than just about any other airline’s proprietary miles. The American Airlines credit cards we’ve detailed here can help you a) earn AAdvantage points on your flights to go towards further AA travel and b) gain access to a variety of different travel benefits and points-earning spending categories. If you’re still looking around for the ideal credit card for your needs, check out these links! The post The Best Credit Cards Offered By American Airlines appeared first on Merchant Maverick.